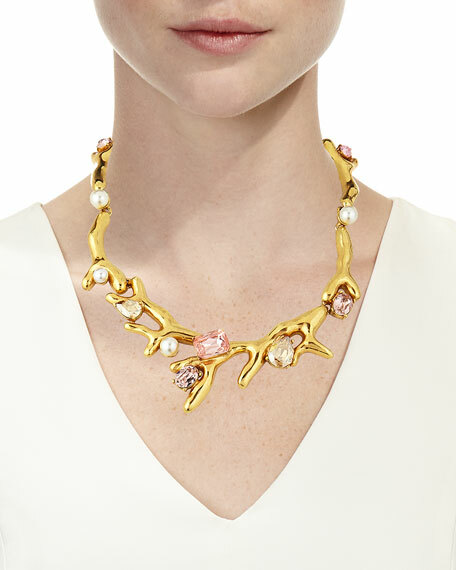 Oscar de la Renta coral and crystal necklace. 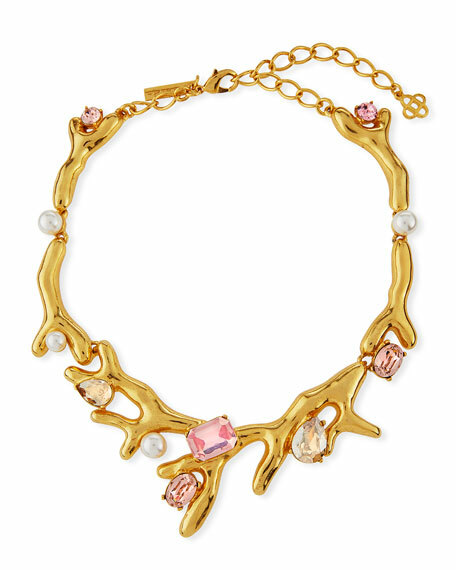 Coral silhouette with Swarovski® crystals. Pearly white Swarovski® crystal accents. Approx. 14"L; 2"W; 4"L extender chain. For in-store inquiries, use sku #2605986.